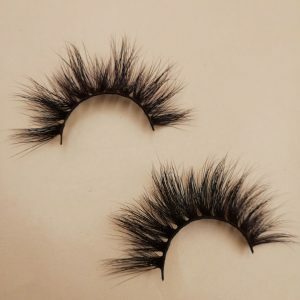 What are the problems with the 25mm mink strip lashes that appear on the market today? 1. The hair of the eyelashes of the mink is the mink of the machine. The thickness of the eyelashes is inconsistent. The roots of the eyelashes are neat, and the gap between the ends of the eyelashes is messy, irregular, and unnatural. 2. Regarding the color of the eyelashes of the mink, the bending of the eyelashes made of chemical dyes causes damage to the hair tips, and the gloss of the mink hair itself is destroyed, no longer shining beautiful, but the same as the artificial plastic eyelashes. colour. 3. 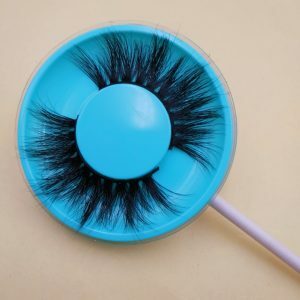 About the stalk of the mink lashes, the eyelashes are thick, the mink bristles selected by the machine, the water bristles of the machine, the semi-manual manufacturing, the uneven eyelashes, the mink lashes are thick, the place is thin, and the support for the lashes is not Evenly. 4. Single-layer eyelashes use more eyelashes than Wella Lashes, and the number of layers is less. The entire eyelashes are loose and not compact. 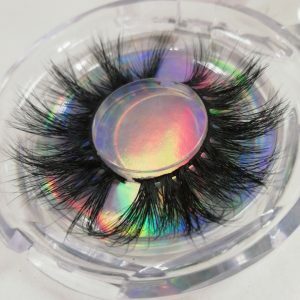 The support effect of such eyelashes and eyelashes is naturally weak. It is necessary to use mascara to adhere to their own eyelashes. The eyelashes are stable, which increases the weight of the eyelashes. After wearing it, it looks stiff, not flowing, unnatural, and the user doesn’t like it. Wella Lashes mink lashes are hand-made mink lashes, professional eyelash manufacturer‘s exquisite technology, experienced eyelashes can make beautiful natural and beautiful large eyelashes. If you only pay attention to the production of eyelashes, using machines instead of artificial ones, you can never make perfect big eyelashes forever, so you can trust us to enjoy high quality large eyelashes, please look for Wella Lashes. Wella Lashes mink lashes wholesale, will be the premium mink lashes, reasonable price, good service, whether you use it yourself or do market operations, Wella Lashes is the real mink eyelash vendor you can trust. If you have any questions about eyelashes, feel free to contact me.